Love him or loath him, it looks like he is here to say. If you’ve been watching any of the ESPN World Series of Poker coverage this year you’ll know the name William Kassouf. He is the Brit that has divided opinion both on and off the tables; is the self proclaimed king of speech play —and tanked more times than I care to remember during the WSOP. Making the most of his new found fame Kassouf has taken to all the podcasts out there; joining the likes of Daniel Negreanu on the Full Contact Podcast and Joey Ingram on the Poker Life Podcast. Kassouf has even created his own website. 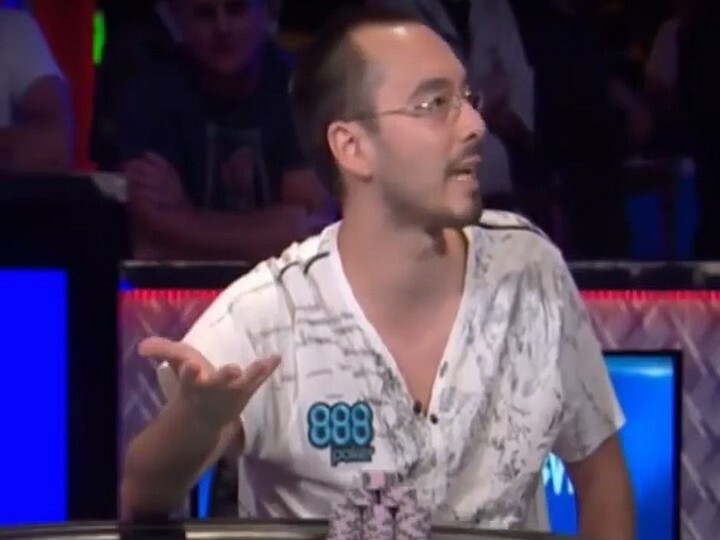 Kassouf also controversially earned himself a one round penalty during the WSOP (Episode 4) against a hand with Stacy Matuson for taunting— check out what Jack Effel has to say to Frank Op de Woerd of PokerNews here as talks about his ruling. But in homage to the man who has got everyone talking this Series, here you can find all your William Kassouf podcasts in one place. If you want to watch Episode 7 that Negreanu and Kassouf talk about in length in the podcast above, see below. 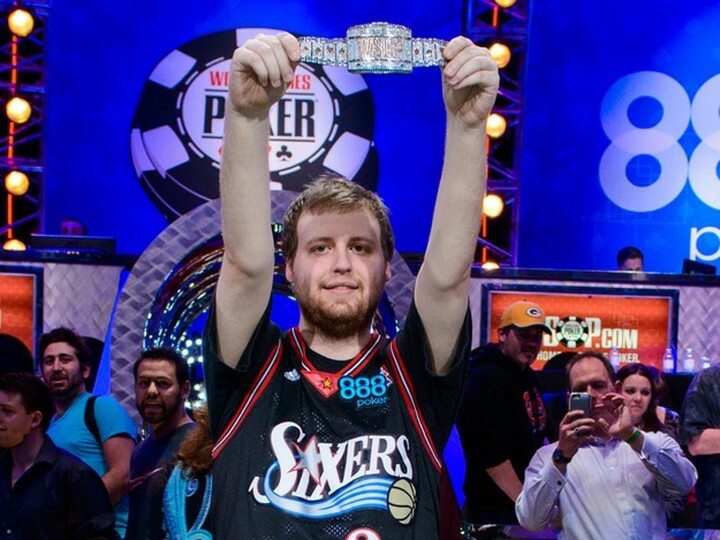 Chicago Joey sits down to a rare conversation with WSOP 2015 Main Event Winner Joe McKeehen, as they talk about the price of fame, why he won’t accept your twitter follow, love, William Kassouf and his 2016 WSOP run, Marty Derbyshire and McKeehen’s general beef with PokerNews. Oh and in the UK we call Shopping Carts/ Buggies, Trollies. Watch the start to see what I mean. 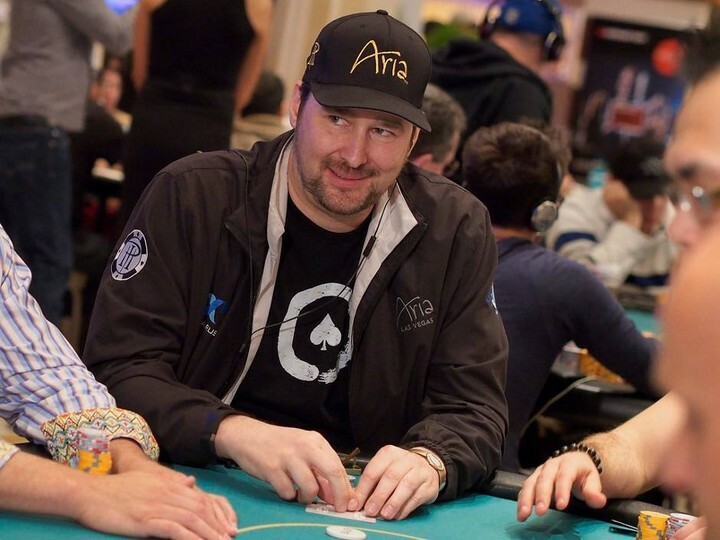 Phil Hellmuth is releasing an autobiography (scheduled to hit stores in January 2017) chronicalling his meteoric rise as one of the top poker pros in the world. The book is tentatively called “Poker Brat” proving that Hellmuth may have a sense of humor after all. Here’s a sneak peak into the Poker Central episode on The Poker Brat. 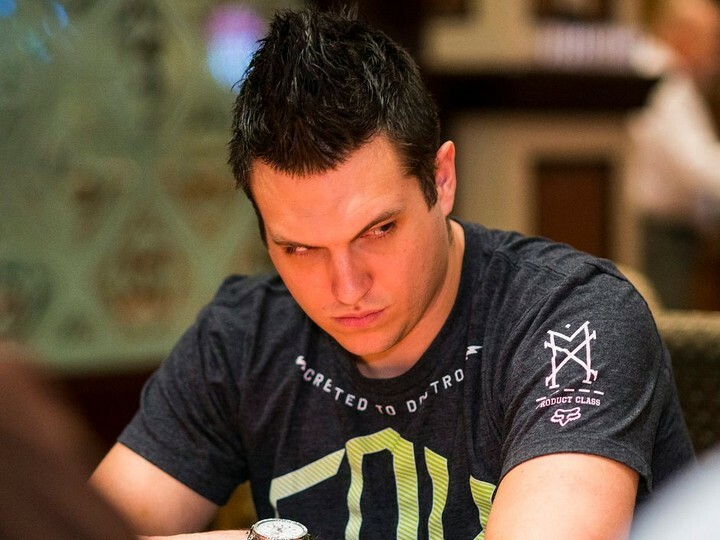 In his latest Poker Thoughts Episode, Doug Polk takes up the topic of Twitch poker, commenting on a variety of aspects including Twitch poker superstar, jason Somerville. The episode is billed as a “unique perspective” as Polk shares his experiences broadcasting on the live streaming channel. Skip to the 9 min mark to hear Polk talk about Jaime Staples and why he should ignore the haters and just after the 13 min mark, Polk talks about closing the gap between himself and twitch power house Jason Somerville and provies various thoughts on the Twitch poker king. Also, check out the comments on YouTube, as it seems viewers are more interested in whether Polk is wearing bronzer or fake tanner than what he has to say about Twitch. 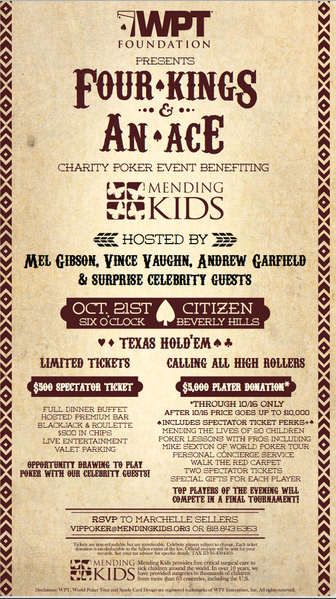 Mel Gibson, Vince Vaughn, and our most recent Spider Man, Andrew Garfield, will be playing host as the WPT Foundation is once again presenting the Four Kings & An Ace Charity Poker Tournament on Friday, October 21 at The Citizen, Beverly Hills. The tournament is in aid of Mending Kids, a Californian non-for-profit organisation that has helped more than 3,000 children in 63 countries get access to urgent medical care. The evening will include a charity poker tournament, casino games, and live and silent auctions. It’s not cheap, but it’s all for a good cause, spectator ticket prices start at $500—a VIP player ticket costs $5,000. Both can be found here. More details on this Friday’s event can be found here. This new series from Insight Television, Life of Cards follows the lives of 10 of the most popular poker players: Joe Hachem, Nicolau Villa-Lobos, Vanessa Selbst, Liv Boeree, Faraz Jaka, Bertrand “ElkY” Grospellier, Akira Ohyama, Antonio Esfandiari, Daniel Negreanu and Chris Moneymaker — in a behind the scenes look at their life. Here we have Liv Boeree and Faraz Jaka’s episodes in full or go here to watch the rest. 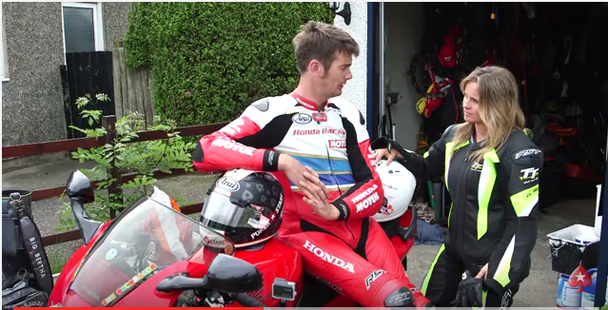 Team PokerStars Sportstar Fatima Moreira de Melo rode with Conor Cummins at the Isle of Man TT 2016 earlier this year, breaking 100 mph. The annual motorcycle race on the island is one of the most prestigious races in the world and has been taking place since 1907. PokerStars is a proud sponsor. Check out her description of her experience here.